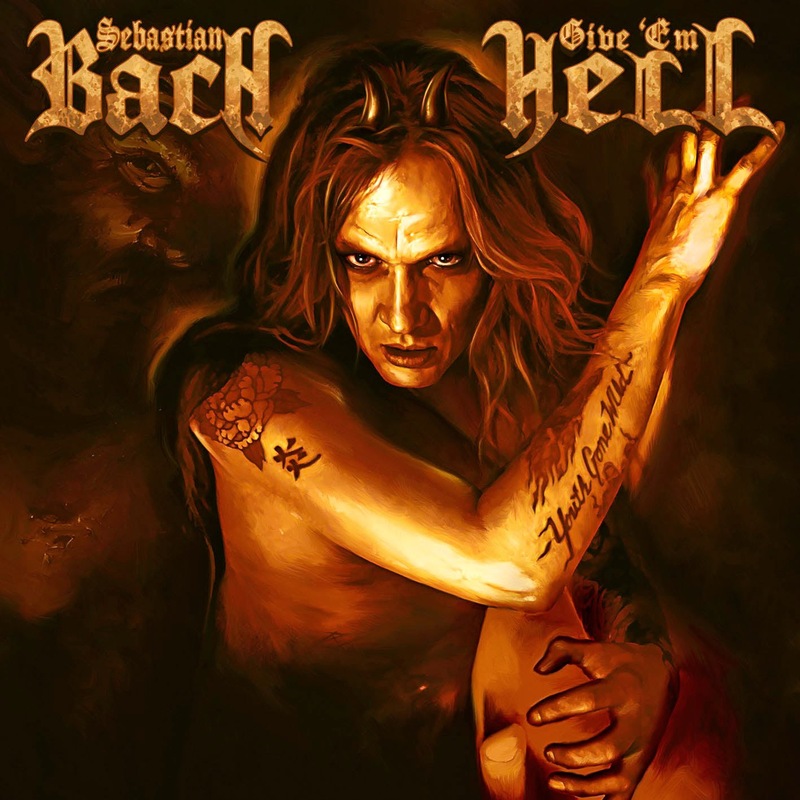 Rock & Metal 4 You: CD-Review: Sebastian Bach - "Give 'Em Hell"
Sebastian Bach (ex-Skid Row), the man with tha largest flap in Rock, released a few days ago his new album "Give 'Em Hell". Bach takes every opportunity to tell everybody how great he is and of course he said this from his new effort as well. If megalomania is a disease, Sebastian Bach suffers from it. But what lies behind these big words? Let's find out! I won't talk so much about his past with Skid Row now, because this topic was talked to death already. 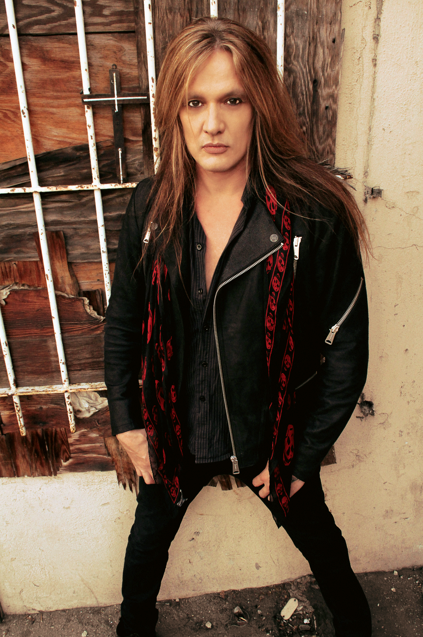 Instead of it let's focus on what Sebastian Bach has reached in his solo career: his first solo record "Angel Down" which consisted of screaming, screaming ... and screaming, the follow-up "Kicking & Screaming" which was a really good symbiosis between Bach's typical screams and his more melodic side. And now three years later his third album "Give 'Em Hell", which continues the way from its predecessor. No wait a minute - it sounds exactly like "Kicking & Screaming". Most of the new songs feel like they were written back then, so I can't see a true development here, which would make this album better than the last one. To me it sounds even more uninspired when it comes to songwriting. If you want to have an album just for headbanging and you love a modern approach in Heavy Metal then this one is for you. But if you love big hooks, old-school Metal/Hard Rock and passionate vocals you are definitely wrong here. Bach fans will hate me for this but in my opinion Bach isn't as good as he was back in the 80's/90's. All vocal lines on this album sound so sterile and stereotypically and it sounds like they used some voice effects. He delivers a solid performance, but one thing is hardly missed: emotions. Yes, the man still can switch between clear singing and rough screaming and this is something I always liked about this guy but looking back at songs like "I Remember You" or "18 and Life" his performance had a much more emotional impact on me. I'm talking not about the songwriting here, just about his singing. Most of all I was shocked when I saw a live video some months ago, where I couldn't identify the song because he sounded that worse! Ok this isn't the case on this particular record, but I'd like to hear him sing with more passion again. At the moment he can't reach me with his style of singing. Yeah and also the songs sadly have a lack of passion. There are some solid tunes like "Temptation", "Harmony" or the hard rockin' "Gun To A Knife Fight" and even a very good one named "Had Enough", which has lots of hit potential, but I really miss an over-the-top-hit here. Instead of this we get lots of songs with melodies and riffs you've heard many times before, especially on "Kicking & Screaming". This is due to the arrangements which are often very similar to each other and nearly all songs sound like Modern Rock - to my ears a bit too modern. Only "Rock N Roll Is A Vicious Game" breaks the chains - this song stands out here because of the use of different instrumentation (acoustic guitar, harmonica). I would have loved to see some more of this variety on "Give 'Em Hell". All in all "Kicking & Screaming" had the better songs, although that album had also some of the same problems. What saves this album from beeing just average stuff are the fantastic musicians on here and the crisp and clear in-your-face-production by Bob Marlette. You'll get to hear John 5 (Marilyn Manson, Rob Zombie), Steve Stevens (Billy Idol), Devin Bronson (Avril Lavigne) and Bobby Jarzombek (Halford & Riot) on this record and they all are high-class musicians with different background. Each one of them delivers great performances here, so that every song rocks as hell. To come to an end: you see, I'm not so satisfied with this album. It isn't that mindblowing, although Sebastian Bach always says it is. Like I mentioned above: if you need an album just to rock out then go and grab this one - it is heavy, features some more or less solid songs and a solid performance by Bach. But to me it needs a bit more than this to convince me.